Two Cornell anthropology graduate students will conduct their fieldwork overseas with support from the Fulbright-Hays Doctoral Dissertation Research Abroad program. Alexandra G. Dalferro and Rebekah M. Cirbassi are among 91 students nationwide who received the prestigious award this year. Dalferro, from Norwell, Massachusetts, left for Surin, Thailand, in September and plans to remain there until early 2019. She is interested in the tensions between the practices of ethnic Khmer silk weavers and government policies that promote their weavings as “part of a static Thai national cultural heritage,” she wrote in her proposal. “For Khmer weavers, this official interest and demand is welcome, but it also threatens to erase local meanings, histories and knowledge,” she added. Dalferro, whose committee chair is associate professor Marina Welker, will conduct her fieldwork in the Thai and Khmer languages. In January 2017, a new diagnostic technology called “Sickle-Scan” was introduced in Tanzania, she explained in her proposal. The test does not just determine whether a person is carrying the disease, but also provides information about genetic relatedness. “Increasingly, then, diagnostics are becoming integrated into Tanzanian forms of kinship reckoning – i.e., the culturally constructed ways of recognizing some ties as relevant for making families,” she wrote. Cirbassi plans to study how people in Mwanza “integrate the lexicon of genetic medicine – and the transnational, racialized discourse on sickle cell research – into their sense of national belonging.” She expects to remain in Tanzania until next December. Her committee chair is associate professor Stacey Langwick. Fulbright-Hays Doctoral Dissertation Research Abroad awards support research in modern foreign languages and area studies. The six- to twelve-month awards are sponsored by the U.S. Department of Education. 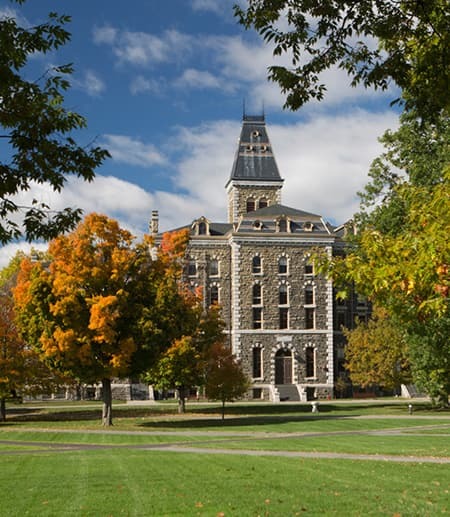 At Cornell, the program is administered by the Mario Einaudi Center for International Studies. The center assists students in the application process and administers the awards for successful applicants. This article orignally appeared in the Cornell Chronicle.